My name is Lewis Cameron and I am 14 years old. During my time at UKSA I have worked in a number of areas doing a wide variety of different things, for example I have helped out in the maintenance department helping to do oil changes and learning how all the boats are maintained over the winter. I jet-washed the tractor which was a really fun task. I have also gained a lot of new experiences on the water, my favourite of which has been the powerboating. I had the opportunity to go to the mainland and back which was a great trip, giving me the opportunity to work on the new skills I had learnt. I now have my Powerboat Level 1 and am hoping to gain my Powerboat Level 2 in the future. 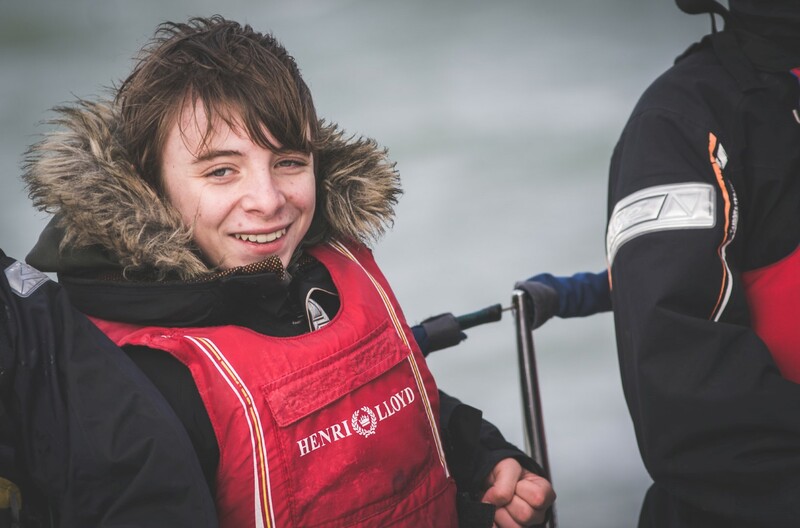 As well as the powerboating, I have also had the opportunity to get involved in the yachting which was a really enjoyable experience. It was also quite scary at times when the boat heeled over onto its side in strong winds. The assault course that we took part in at Parkhurst Forest was great even though I got covered head to toe in mud. The thing that has surprised me about UKSA is how much effort goes into one session and all the people from different backgrounds the centre helps. My favourite task at UKSA has to be powerboating. I love going fast and I also love the fact that UKSA has trusted me with driving a boat. On a Thursday I can’t wait to come here. I am willing to do whatever I am asked to do. UKSA is so fun and everybody is so helpful and I also like the fact that I am helping people. At UKSA I have leant that it is not just the instructors who make things happen, it’s everybody else in all the different departments behind the scenes. I think that this is a really valuable lesson. This experience is different to my time at school because I’m with other adults. I feel like I’m actually an employee and I get treated as part of the team. My work experience has been helpful to me because now I know what the industry is like I would love to work here some day, or somewhere similar. I have learnt how to communicate to people and to try to help people, even if they don’t ask.